Maid service, raised beds, fresh water, soothing music, climate controlled, Room Service & of course TLC! We offer discounts for multiple dogs sharing the same accommodations, extended stays, military and senior citizen discounts. Our boarding rates follow a typical hotel structure, Check-In time is after 1pm Monday through Saturday. If a guest has a spa appointment on the departure day, the late check-out fee will be waived. Owners can select from a variety of spacious accommodations that mirrors a just like home feeling. These suites are for the pet that prefers a luxurious at home environment. Each is uniquely decorated with a custom bed, ceiling fan, flat screen TV & phone privileges, individual lighting, and sliding glass doors. It is the red carpet treatment all the way. Choose from Queen size indoor suites (average size 6 x 8) or King size indoor (6 – 8 x 8) with recently installed K-9 Grass and outdoor semi covered patio (6 x 10). Either of which allows plenty of room for a multi-pet family. This area is perfect for Teacups or those babies who are more comfortable with a secluded peaceful retreat. Also nice option for geriatric canines under 15 lbs. These 4×4 suites are perfect for the smaller breed pets under 40 lbs. These 4×8 suites provide plenty of room for any average to large size pet or small breed pet family. Everyone knows going on vacation and sitting in the hotel room all day would not fun. With this is mind, we were able to accommodate a limited number of suites with in/out privileges. These are great for the dogs that are accustom to this option or that spend much of their time outdoors during the day on a regular basis. These suites allow for pets to access their private 4 x 10-16 foot outside patio throughout the entire day at will. The perfect option for large breed dogs or multi-pet families easily accommodating 2 Great Danes or 3 medium breeds comfortably – We know because we built these with our family in mind. These oversized suites are 6 x 8 inside and 6 x 16 outside. We feel outside time is very important for the overall health and attitude of your pet. For those pets that have In/Out options they are free to come and go from 6:45 am – 7 pm every day at their leisure. Pets with inside only accommodations will be taken out for 3 potty breaks each day. The Pet Palace has numerous play-yards. Sizes vary from the smaller yards to those which nicely accommodate families with two or more large breed pets! In addition, there are two yards dedicated specifically for Community Play which is currently available Monday – Saturday and by appointment on Sundays for Boarding and Grooming dogs who have are approved for community play environment. Activity Packages are always encouraged especially for puppies and active pets, as these help to burn off pent up energy, provide mental stimulation, and much-needed exercise. All accommodations receive frequent maid services to ensure clean suites and fresh water throughout the day. We provide raised beds or linens for all our guests. If you know your pet is a chewer, please let us know upon check-in so we can remove items to avoid charges for destructive behavior. Keeping your pet on their regular diet is always recommended especially for puppies and those on prescription diets. When packing your pets food, remember to package each days feeding in zip lock baggies. If they eat 2 times per day or your have multiple pets in the same suite eating the same food, both portions can be placed in 1 bag per day. Please label with “pets name” and “meal date” to ensure enough food is packed. Every pet is provided a food/treat bin in which zip-locks fit nicely. Due to lack of additional storage space as well as to ensure the correct quantity of food, we cannot accept bags/containers of dog food for stays less then 14 days. Zip locks are available for purchase in our lobby if needed. Meals are served in the evenings. Arrangements can be made if your pet is on a specific food/schedule or has special needs such as medications with food. Keep in mind, it is recommended you limit the amount of food you provide your pet on the day of arrival and upon returning home as these are both exciting times for your pet. The excitement might cause your dog to pant a lot and become thirsty. Give a few ice cubes to hold him over till feeding time. In a happy excited state, excessive food and water consumption can create an upset tummy. For those that want to make Fido’s stay extra special browse through our list of “Snacktivities” for in-between meal treats that will provide your pet with a healthy snack as well as entertainment. Or choose from our endless selection of healthy and natural treats upon arrival in our Emporium. Please note, due to the health implications and possible choking hazards “Raw Hides” will not be accepted nor do we sell them in our Emporium. Medications included in your pre-portioned ziplock of kibble for daily feeding will be free of charge. Should your monthly Heart-Worm preventative fall during a stay and can be placed in your pet’s feeding bowl, we are happy to administer at no charge. Other Oral and Topical Medications can be administered for a small fee. See our FAQ’s and Medication Form for more information. This program is only for pets while boarding, excludes pets while in daycare, grooming and training guests. The Pet Palace will pay up to $500 for any Veterinary care provided by a licensed Veterinarian for the care or treatment of the boarded pet for any injury or sickness incurred while the pet is boarding at The Pet Palace should it be required and determined to be related to their stay. Expiration is 5 days from pet’s departure. All claim must be submitted within 7 days from the pet’s departure date. Pre-existing health conditions, injury, illness or death resulting from incidents occurring before arrival date. Injury, illness or death resulting from war or act of God. 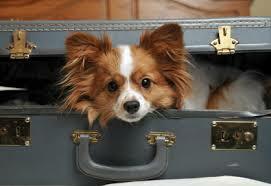 The Pet Palace has numerous indulgences to keep your pet busy and engaged during their stay. Besides the most popular Community Play option, activities range from the “Suite Dreams” to the “Extreme Run” to ensure there is something for every pet. Our Puppy Program ensures your puppy gets additional potty breaks as well as plenty of socialization during their first year, recommended for puppies 7 months and younger. For those dog and cat breeds with long-hair coats such as Yorkshire Terriers that require daily brushing, we highly recommend that you schedule “Royal Brush” sessions to maintain the condition of their coat while boarding. When booking your reservation, please share as much information about their daily routine so we can suggest options that most mirror the attention they receive at home. Be sure to peruse the list of Activity Packages. We are sure you will find at least 1 that fits your pets life style. After all, Fido is on vacation too! Everyone enjoys a snack now and then, especially when it is served on a silver platter. Check out our Snactivity options. You are sure to find a treat to put a smile on your furry friends face! 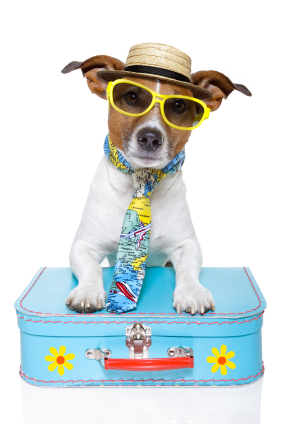 Combination activity/snacktivity packages are available to ensure your pets’ vacation is Paw’stively the best! Visit the VIP Package page to find out more about the options available.